I would like to inform you of cex.io’s poor behavior. Notwithstanding your warnings about the LTC Promo, I was using their LTC pool for the last 2 days. * Agreed to pay for server error that kept our machines hashing without getting paid for 10 blocks. Then said “the support member was wrong ” when he said we “would get paid, so keep your machines running on the pool”. * Currently(as of this writing) having LTC withdraw issues. Users are reporting a “insufficient funds” error, despite having 5+ LTC. All of these issues are experienced by many users. This is a very bad start to a site that looks so promising. In any event, I simply wanted to pass on this information in an attempt to prevent others from possibly getting Goxed. There are a little over 3 days that remain until the end of the Doubled rewards for LiteCoin mining at the Ghash.io mining pool and we are again going to recommend you to stay away from the pool. 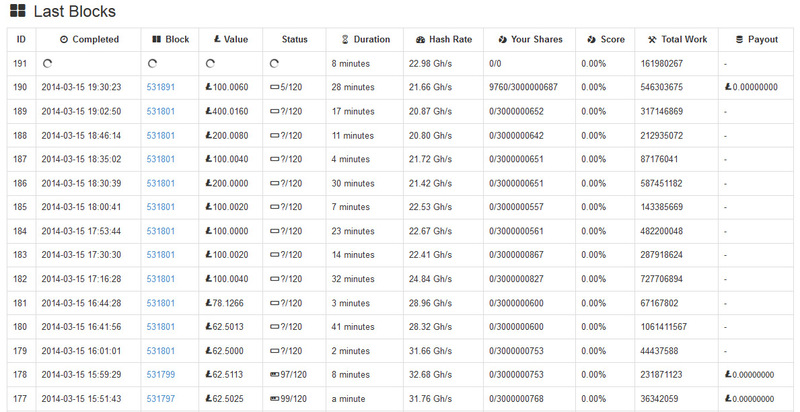 Currently the multiplier is x1.25 and will hardly go back to x2 as the hashrate of the pool needs to drop in half. And if you experience a few more issues in the remaining time you could easily end up with the same or even lower than x1 the expected earnings from directly mining LTC in another pool. After the announcement of the dual mining awards for the new Ghash.io Litecoin mining pool and then “changing the rules” on the go two times already, now it seems the LTC mining pool at the CEX.io operated service is experiencing some temporary issues. 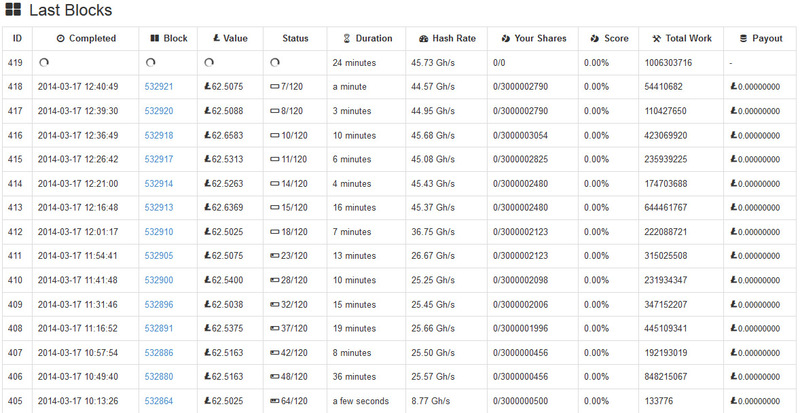 A series of blocks (11 in total) in the LTC pool are getting no confirmations, probably marked as orphans, however this is about 3 hours of mining time literally wasted for the people that expect to be getting double awards for their hashrate. We have already gave our recommendation to move your miners from the LTC pool as soon as they started adding extra rules some time after the initial announcement for double mining awards. 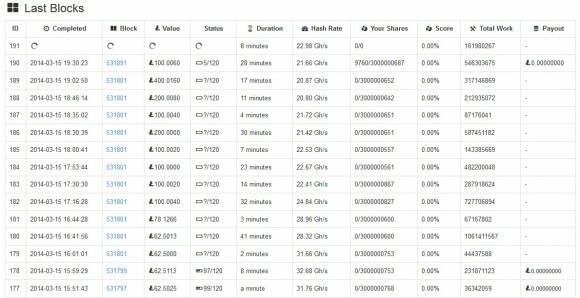 So if you still haven’t done so, we are again going to recommend that you do this now, because with a few more rule changes and issues in the pool there is a chance that you might end up with less than the normal LTC mining profit for a week instead of the promised 2x (or up to 2x in the best case). 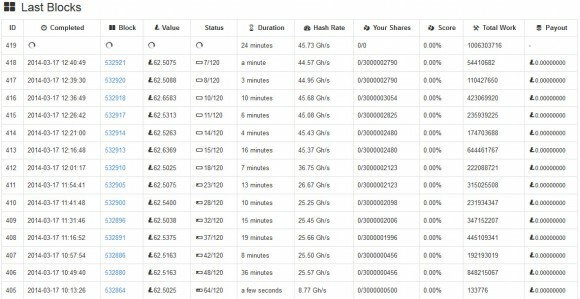 It seems that CEX.io were not fully ready to launch their LTC mining pool and they were not ready to handle the overwhelming user interest to their 2x mining award and they are not handling it well even after changing the rules for the 2x award. Update: It seems that CEX.io now wants to drive away all of the users they brought back to their pool. The 2x bonus awards that was initially without a limit and then was available with the total pool speed of up to 40 GHS has now been reduced for a pool speed of 25 GHS. We no longer recommend to stay at their Litecoin mining pool, get your miners away from there as they are really not handling the situation well… move them now and withdraw your mined LTC earnings. We don’t want to have to check every few minutes if they have changed their mind yet again and as a result to have mined less LTC that we could’ve if we used another pool with no rules that change all the time and probably neither do most of you!